A HUGE,STYLISH TWO bedroom suite in a BRIGHT NW CORNER of this GREAT building!! 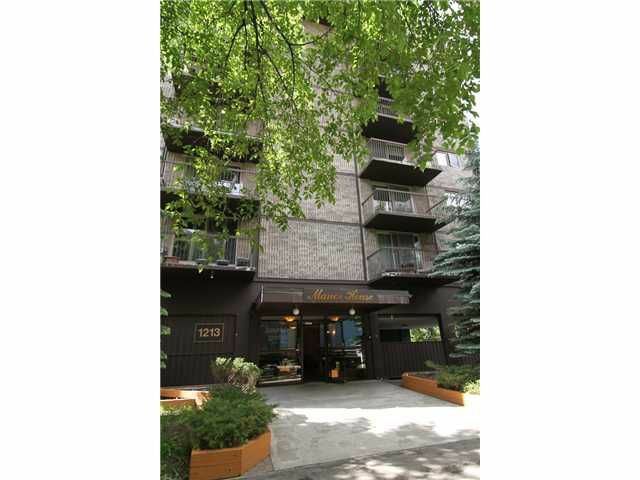 In MOVE IN condition, this unit is STUNNING and has been COMPLETELY RENOVATED!! This CONCRETE CONSTRUCTED building has NO post-tension! The boiler and roof are less than 5 years old, the elevator workings less than 2 and their cab interiors were replaced in the past year! The windows and sliding glass doors were just replaced. Building is very well run,with over 200k Reserve Fund AND a LIVE-IN CARETAKER, whose unit is owned by the Condo Corp!! The CONDO FEES cover EVERYTHING, INCLUDING ELECTRICITY!! Located within blocks of 17th ave restaurants, shops and entertainment! Call your favorite Realtor to view! !